Geisha from behind. 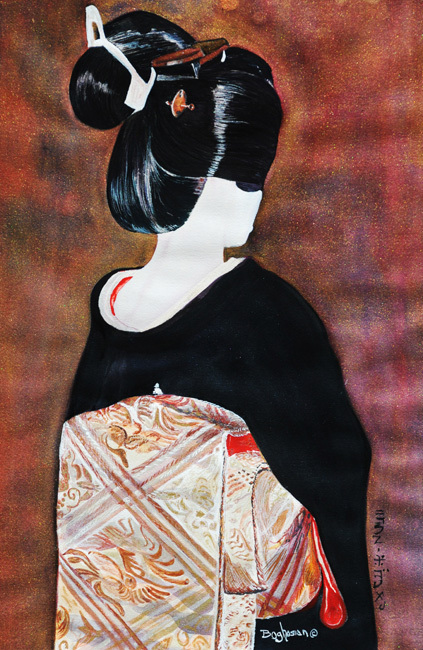 This is one in a series of Geisha's I have painted and had the pleasure of meeting through out my extensive travels in Asia. They exude dignity, grace, poise and tradition! She was joy to met and interact with. This is a watercolor on paper. Interference Watercolors were layered on the painting to give the illusion of silk thread running through the Kimono.